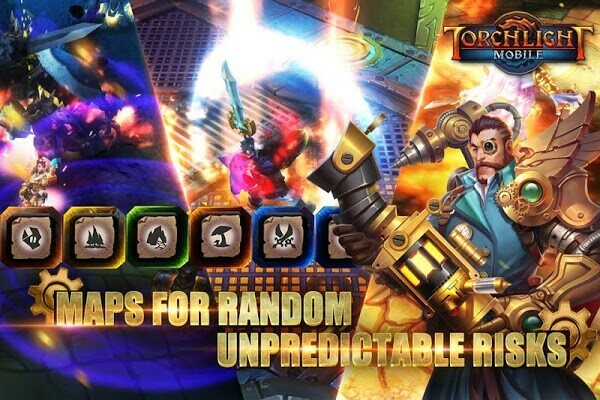 Torchlight: The Legend Continues is an extremely attractive hack-n-slash game on the mobile platform, recently released in English in many parts of the world. For those who don’t know, Torchlight is an award winning ARPG game because it was developed by Runic Games and launched on PC in October 2009. Considered a copy of Diablo but since Torchlight is warmly welcomed, even the Diablo fans are willing to play and give a lot of compliments. 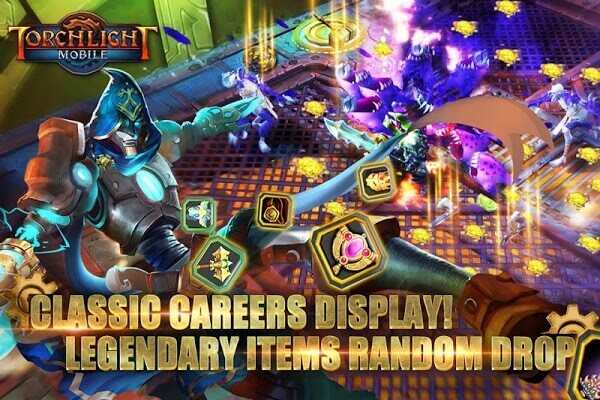 Torchlight: The Legend Continues Mod is still a role-playing game with its unique art styles such as random mapping, pet systems, non-linear plot, or the diversity of mode game capabilities. Unlike Diablo III with its colorful appearance, Torchlight: The Legend Continues still has the dark, gloomy qualities that characterize this series. The content of the game is still focused on the high-speed action, requiring players to skillfully use the skill to push back the monster. The game will be designed so that gamers can play alone and still have the skills that are useful when working in a team. 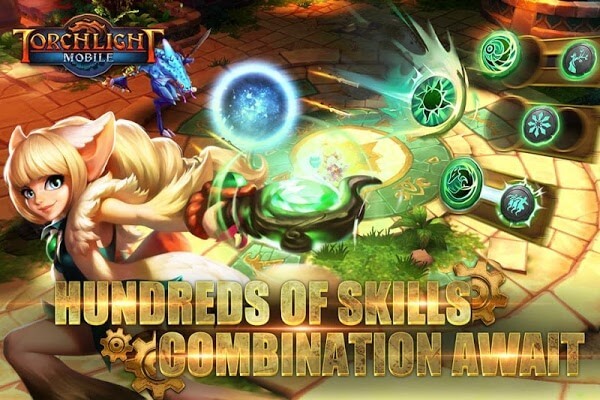 Like the PC version, Torchlight: The Legend Continues APK focuses on exploring and conquering different dungeons. Every game is really difficult and challenging when there is always hard Boss. In order to defeat them, the player needs to set up a group with different character classes and give combat plans.